Where did you grow up? I was born in Banja Luka, in former Yugoslavia. When I was four and a half, I moved to the Netherlands. The first six years I lived in a place called Kerkrade. Around ten I moved with my family to Heerlen. What influenced you to get into music? Guess I've always had the urge to be creative and tell stories. This urge got stronger when I started writing and rapping. I started listening to Hip-Hop when I was twelve. At sixteen, I ran into a friend I hadn't seen in years. He invited me to a youth home where I witnessed him and his homie freestyling on instrumentals. This got me thinking, I can do this too. As I entered the scene I quickly discovered many more crafting artists in the area. Which sparked the engine only more. What is the local music scene like in Heerlen? There are a lot of creative people in the area. With different kinds of styles and genres. From Hip-Hop to Drum & Bass. Those two being the most popular in my opinion. This place is a nest for creativity of all kinds. Heerlen as a town, is also constantly investing in urban and culture. The Notorious IBE for example. A breakdance competition bringing dancers from all over the world to Heerlen. The Hip-Hop culture is very much alive in these regions. Do you work with a producer, or do you create your own tracks? Mostly I lease beats from producers all over the place. In the past, I often made my own beats or used beats from friends. A few years ago I started digging in the internet for next level beats to feed my inspiration. This way of working proved pretty effective so I continued this process ever since. What is your songwriting process? Usually I play instrumentals until I get a hit of inspiration. Soon as that first line hits me, it can go pretty quick. I like to stand when I write. So I placed my coffee table on my dining table. Works like a charm. Where do you record? I have my own setup in a office room I rent. Is there any meaning behind your name? It's my birth name, giving to me by my Grandfather. Do you perform live a lot? Not at all at the moment. Tell us about your latest project. 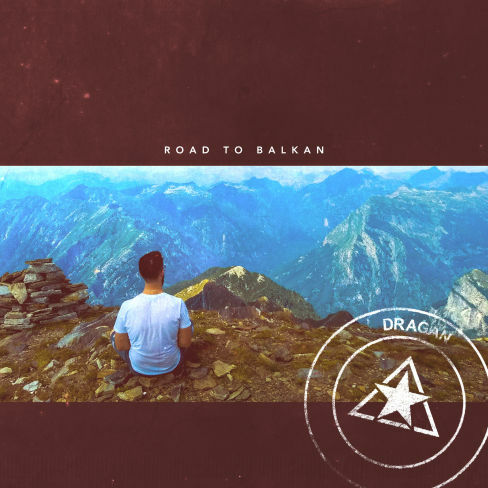 Road to Balkan started as a step to connect deeper with my motherland. Later I realised that Balkan also stands for something else. Becoming A Lyrical King Amazing Narrator. This is something I have to put my stamp on. Which is why I see this album as the first steps on this road. What can we expect from you in the future? I'm in the process of having my new album mixed and mastered. Planning on releasing in a few months.